In 1998, the fishing vessel Jeonjiho goes out to sea to catch fish. The ships fails to catch fish as they hoped. The ship's owner then informs Captain Kang (Kim Yoon-seok) that he is going to sell the ship. Captain Kang can't let that happen and decides to buy the boat himself, but he is unable to get financing anywhere. Captain Kang then agrees to transport Chinese-Korean stowaways from the sea back to the port. 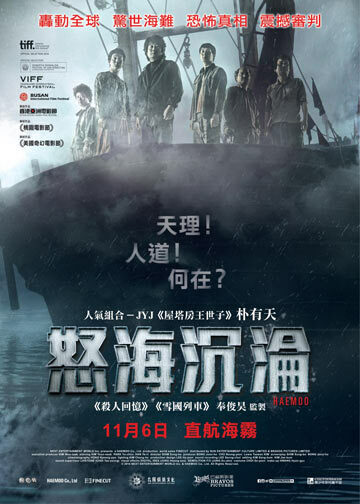 The other crew members including Dong-Sik (Park Yu-chun) & Chang-Wook (Lee Hee-joon) are freaked out about the captain's plan, but they agree to go along with it. During a stormy night, the fishing vessel Jeonjiho stops in the middle of ocean and allows another boat to transfer its stowaways onto their ship. A young woman, Hong-Mae (Han Ye-ri), falls into the ocean, but Dong-Sik jumps into the water to save her. Their nightmare journey begins.